Continuing my attempts to imitate Instagram filters in Paint.NET, a free photo editing program for Windows, I am now going to attempt to imitate Sutro. 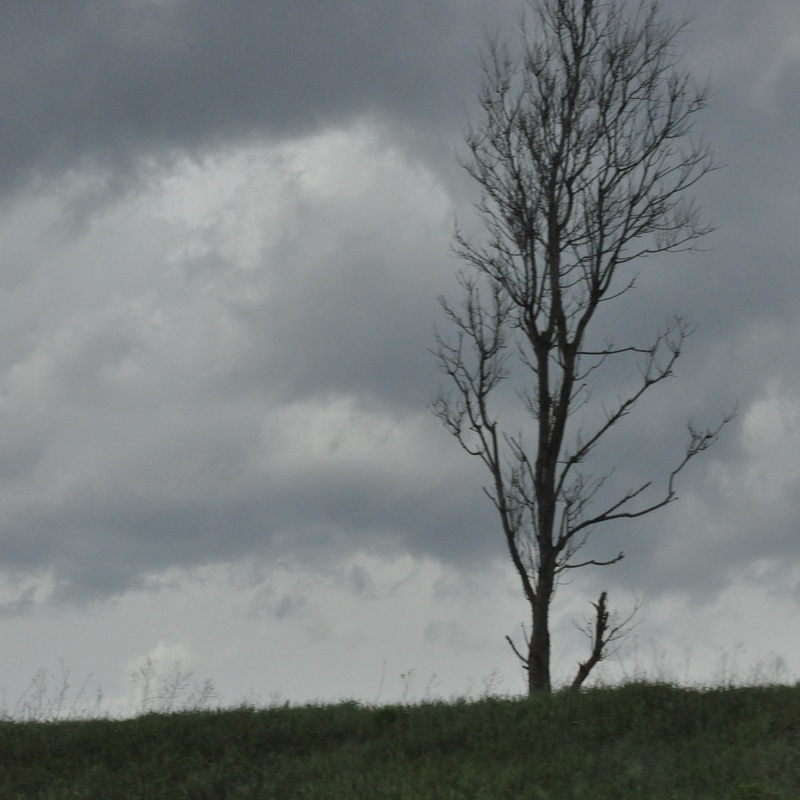 Open your orignal photo in Paint.NET and go to Save As under the File menu on the main menu bar and rename it, so if you don’t like your changes you haven’t lost your original picture. Click Save. Under the tools drop down menu, choose the Rectangle Select tool. Holding down the shift key to maintain square proportions, click and drag on the area you would like be in the final picture. Type ctrl + shift + x to crop. Type cntrl + s to save. If the Layers window is not open, press the F7 key to open it. Click on the Duplicate Layer icon. Type Ctrl + Shift + C to open the Brightness and Contrast dialog box. Sutro appears to have a high contrast with a lightened exposure, which means both the sliders will need to be moved towards the right. I found a level of thirty-five in both imparted an appropriately creepy look. The next alteration to tackle was the yellowish tone. 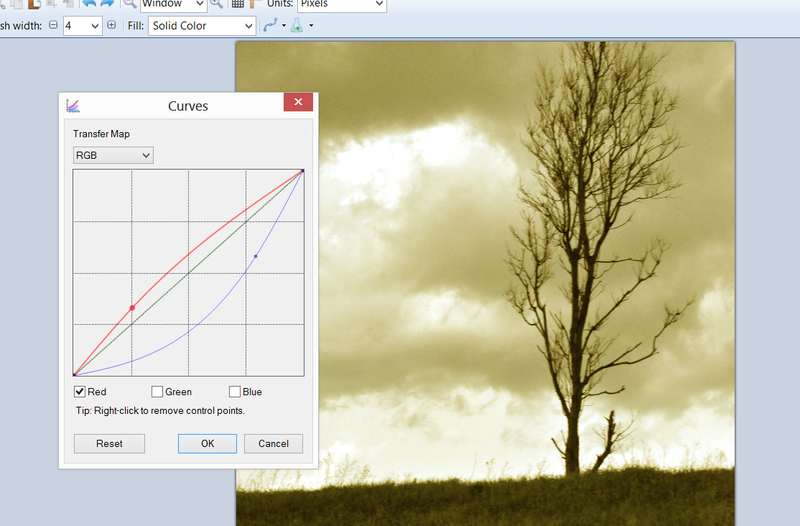 There are a few different ways to do this, but I decided to try doing it using the Curves dialog box. Go to the main menu bar > Adjustments > Curves. A dialog box opens. Under Transfer Map, choose RGB from the drop down menu. This will allow us to alter the red, green and blue channels in the picture separately. First, uncheck the red and the green check boxes so that only the blue box is checked. Click on the blue diagonal line in the center of the box and drag it down towards the lower right. Next, uncheck the blue box and check the red one. Click on the red line and drag it up towards the upper left. This decreases the blue in the photo and increases the red, giving the picture a yellowish tone. 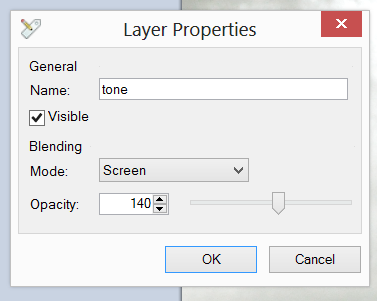 Next, double click on the tone layer in the Layers window to bring up the Layer Properties dialog box. Change the name to “tone.” Under Blending Mode, choose Screen from the drop down menu. You will have to move the Opacity slider to the left. I found an amount around 140 to look good to me. Finally, we need to tackle the burned edges. 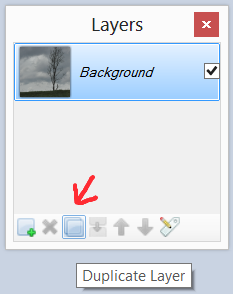 In the Layers window, click the New Layer icon in the lower left corner of the window. A new, blank layer appears. Choose the Gradient tool from the Tools menu. In the context menu that appears, choose the Radial mode. Press F8 to open the Colors window. Make sure that the Primary color is set to white and the Secondary color is set to black. Click and drag starting in the center of your picture and continuing to one of the corners. Now, double click on the layer in the Layers window to bring up the Layer Properties dialog. Under Blending Mode, choose Color Burn and under Opacity, I set it to about 100. I couln’t get the edges to be as dark as they appear in most of the Sutro examples I could find without making the overall picture too dark. That was probably because the photo was under exposed to begin with. In the end, I decided that I preferred the image before adding the burned edge, so I reduced the opacity on that final layer to about 50 to produce the final image. If anything is unclear, ask in the comments below. I really like the theme you are using because it spreads wide across my screen.